About Keith Travers: Keith has been building houses since he was a young person. He started in the trades as a certified journeyman carpenter even before finishing the Gold Seal Construction Management course at BCIT. Now with twenty-five years of on-site construction experience under his belt, there isn’t much this professional builder hasn’t done. In addition to building several big structures in this province, and more in British Columbia, Eastview Homes has built or renovated over a hundred single family houses in the GTA alone. Keith has lots of knowledge and has done just about every kind of home repair and home renovation project you could imagine. 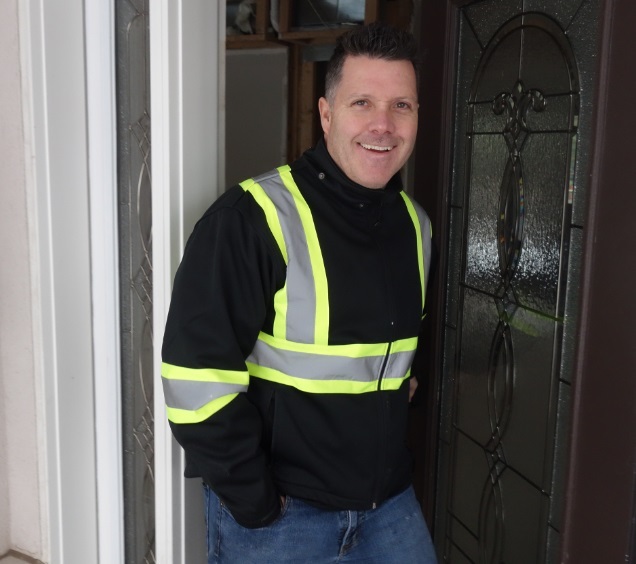 Over the years, on behalf of Eastview Homes, our construction manager has collected a truckload of power tools and has long lists of skilled workers who know how to use them. 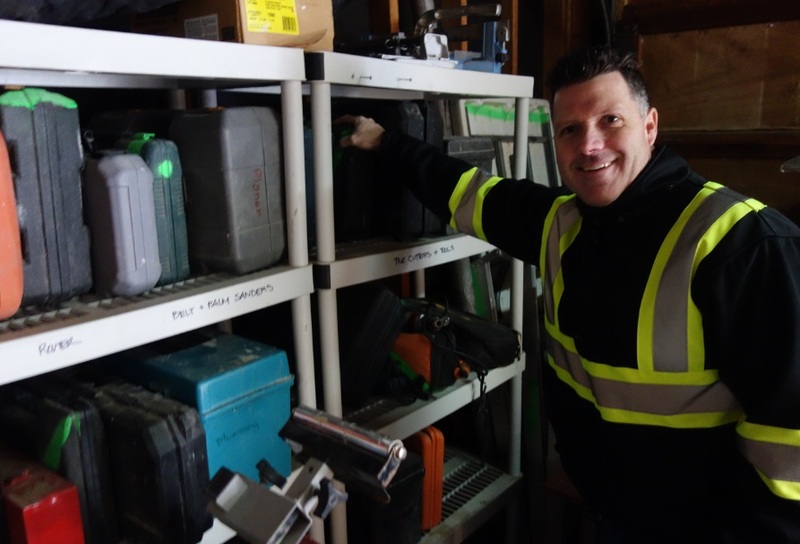 Keith Travers in the Eastview Homes equipment locker. About the crew: Eastview Homes’ construction crews are mostly other journeymen carpenters and their apprentices. All of our teams are highly reputable and experienced in their trade. Together we’re a ‘battalion of builders’ as each professional on site usually has mastered one or more of the many disciplines required for successful, on time, on budget residential construction. 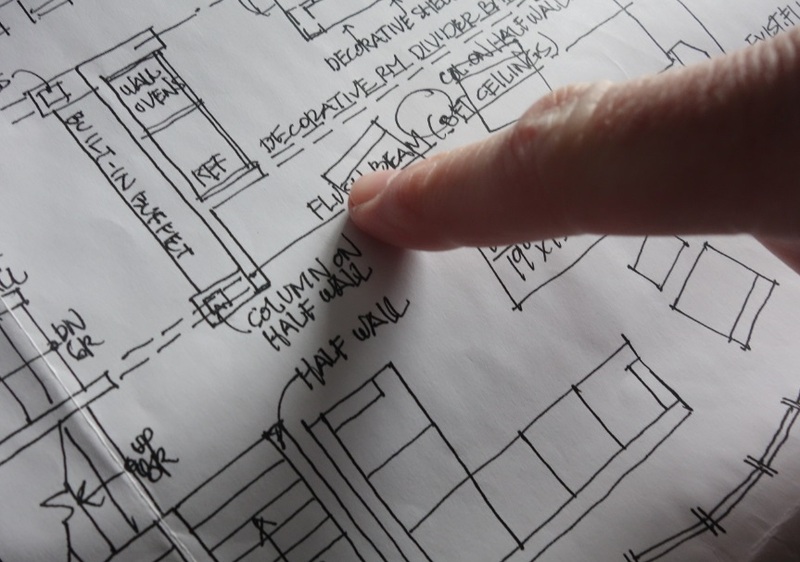 One of the advantages of having experienced builders on staff is their ability to spot problems on paper before the mistake is reproduced in timber and concrete. 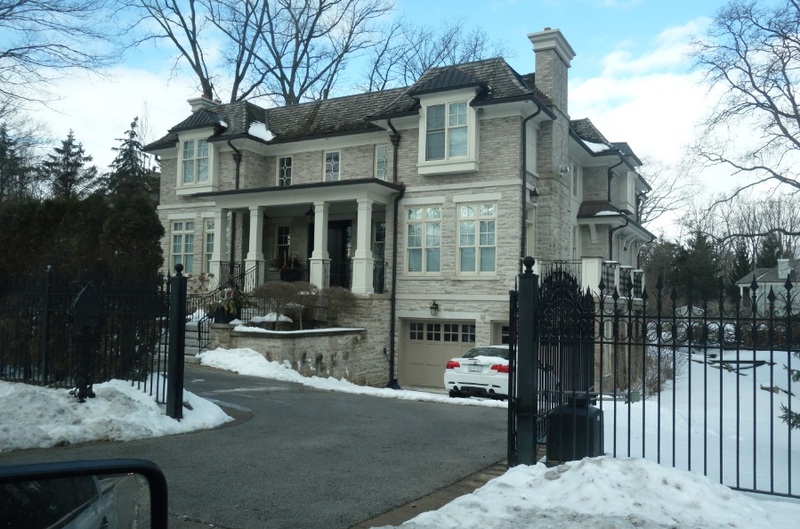 When embarking on big assignments, Keith subcontracts work to experienced personal ranging from award winning architects, top engineers, veteran landscape designers, and many other certified tradespeople. Harness our database when sourcing your ideas. Keith has supervised scores of basement and bathroom renovations, remodeling, and home additions, and occasionally Eastview Homes builds a multi million dollar house from the ground up. Eastview Homes provides local licensing, company insurance, WSIB coverage and a list of other certificates. We have an unparalleled reputation for quality, outstanding workmanship, and attention to detail. Keith makes a personal commitment to each buyer to provide a positive building experience that is founded on a complete dedication to one project – your project – from start to finish. Just recently, in January 2017 Eastview Homes won Outstanding Service Award on Homestars, and our firm is proud to be listed among the Best of Homestars 2017. Thanks and please SUBSCRIBE to the Eastview Homes blog RSS Feed to get email notices every time we update the blog. Follow us on Facebook com / Eastview Homes.